This is big news. 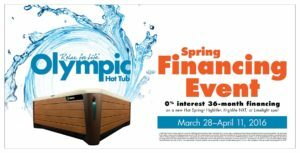 Put a new Hot Spring NXT, Highlife or Limelight Spa in your own backyard with Special Financing for 36 months with approved credit. If you’ve been longing for a way to make your hot tub dream a reality, don’t miss this event! We do make it easy to take it easy! Don’t delay. Must end April 11th. 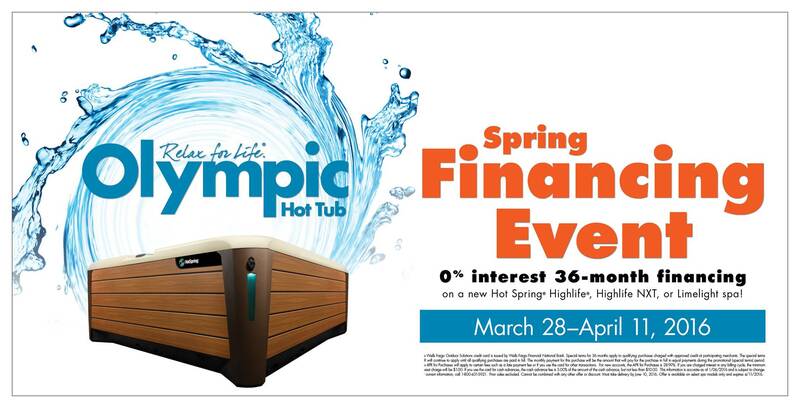 Visit your nearest Olympic Hot Tub store today.